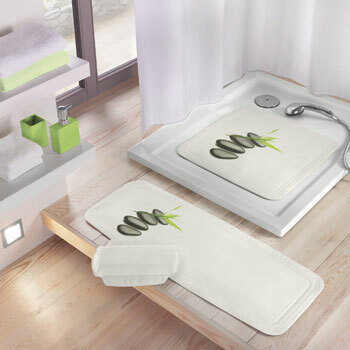 This anti slip, 100% PVC and Phthalate free natural rubber safety tub mat is designed and made in Germany. Easy care. Shake out and hang dry after each use to help resist mold and mildew.